I really enjoyed your tree tales and I was fondly remembering your parents’ back yard when I visited there just before your father passed. It was indeed like a park; lovely, inviting, peaceful. If I had to pick a favorite tree, I would have to choose the apple. The neighborhood where I grew up in Acton, Massachusetts was once an apple orchard and so many apple trees remained even after the houses were built. They were so pretty in the spring with those abundant blossoms and also super easy to climb. They never got too high so our parents never worried about us too much. One time my best friend’s mom was under one and a whole bee hive fell out of the tree and down the front of her blouse! Although stung many times, she was fine, but what a day that was when Mrs. Sharp ripped open her blouse! 1960’s - probably wouldn’t even raise an eyebrow today would it??? And those apples in the fall! So many delicious memories of fresh applesauce, pies, crisps and ciders. These were McIntosh apples. And with their fresh snap and sour bite, I still love them over any other. My taste buds have not forgotten. In the winter, the bird feeders were hung from the bare branches and my love for bird feeding and watching was born. Yes, I would have to go with the apple. Thanks again for this segment. I enjoyed thinking back. I recently heard on a presentation that you can substitute k2tbl for ssk. Why not? It’s easier! These are not the same. They are similar. K2tbl is a twisted cousin of SSK. I don’t like to call people out on things but this is misinformation. I’m sure I have put out my share of incorrect information as well. On the other hand, if SSk and K2tbl were interchangeable it seems we would have heard about it already from Barbara Walker, Cat Bordhi, Elizabeth Zimmermann, Meg Swansen, or any number of knitters who are way more knowledgeable than I am. K2tbl= Insert right needle into the back of two stitches on left needle. 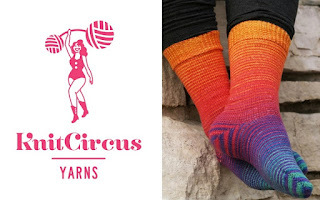 Knit these two together. Slip Slip Knit= Individually Slip two stitches knitwise. Insert left needle into the front loops of these two stitches (left to right) and knit together. If you look at the stitches before removing them from the needle it may look like a K2tbl but if you look at the orientation of the stitches you will see that they have been turned. That is why you slipped them individually knitwise. · Both are left leaning decreases. · Both eliminate one stitch. In SSK the top stitch, the one you see when the stitch is complete, is oriented properly. It is not twisted. In k2tbl it is twisted. Don’t believe me. Test it yourself on a swatch. You can purchase a signed copy of the book at June Hemmons Hiatt website linked below! Slip Knit Pullover Left Decrease (Slip Knit Pass) is identical. Don’t go! It’s going to be a 115 deg heat index! Firestorm by Nevada Barr (Anna Pigeon #4) *** set in National Park. Huge fire and a murder. Absolutely riveting book. Mystery, suspense, good character development. Dream When You’re Feeling Blue by Elizabeth Berg *** Terrible ending. The Day I Ate Whatever I Wanted: and Other Small Acts of Liberation by Elizabeth Berg. Period drama, immigrant story, romantic. We enjoyed it a lot. PG-13 No bad guys. Test knit by Hannah Fettig for her new book, Texture, to be published this fall. 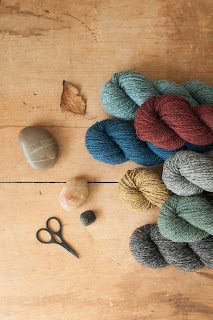 I bought Quince & Co Lark in Audouin colorway. I'm only sad Fredrik Bachman doesn't have any more books out there right now! Impatiently waiting for the next one!